Off-the-shelf cable wiring is acceptable for many applications like power tools or home wiring. However, when dealing with sensitive equipment and peoples’ lives, it’s worth paying a little more attention to how you invest in custom cable assemblies. Medical devices are subject to intense strain on a daily basis, from heavy-use by devices such as defibrillators to low-intensity, but high exposure, devices such as pace-makers. The amount of regular stress that these devices must endure and overcome is immense. There is some imbalance in viewpoints when it comes to cable wire disposability vs. reusability. Reusable wires must be able to endure the sterilization process and remain functional, while disposable wires can be less durable but must be replaced after single-use. For these purposes, it really comes down to use of the cable wiring. In some situations safety trumps cost and disposability is preferred, whilst other times reusable devices are preferred because the machines are too expensive to replace. One of the most taxing conditions for wiring operation is at the biological technological point of contact. Customized cable assemblies may need to comply with specific regulations and pass a series of stress tests. Working with an experience cable manufacturing company like, Meridian Cable Assemblies, will ensure wiring will meet strict standards and comply to federal regulations. Devices must be able to adapt and perform during many different scenarios. 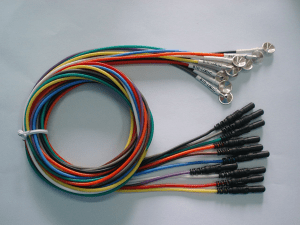 Custom cable assemblies allow you to design assemblies and wire harnesses equipped with the perfect technical specifications to meet their needs for each situation. For more than 25 years, Meridian Cable Assemblies has been designing and manufacturing cable assemblies for device manufacturers. We design more than 70 percent of the products we produce and work directly with our clients to ensure the highest quality. Custom cable assemblies are the best way to get the perfect device ready for both medical professionals and their patients.